Bill Hemmings is aviation and shipping director at green NGO Transport & Environment. Aviation is about the fastest growing source of CO2 emissions, and when impacts of aircraft at altitude on the atmosphere are accounted for, it is responsible for 5% of global warming. In addition, aircraft noise has long been of major annoyance to local communities, and concerns over the air quality impacts of aircraft around airports are growing. These will worsen as European aviation is predicted to grow by more than 50% in the next 20 years. The question at hand is whether Europe should have the ultimate say on pollution standards for aircraft in its airspace – as it has for road vehicles and, indeed, global shipping – or whether decisions taken in secret at ICAO, where industry influence prevails, should hold sway. 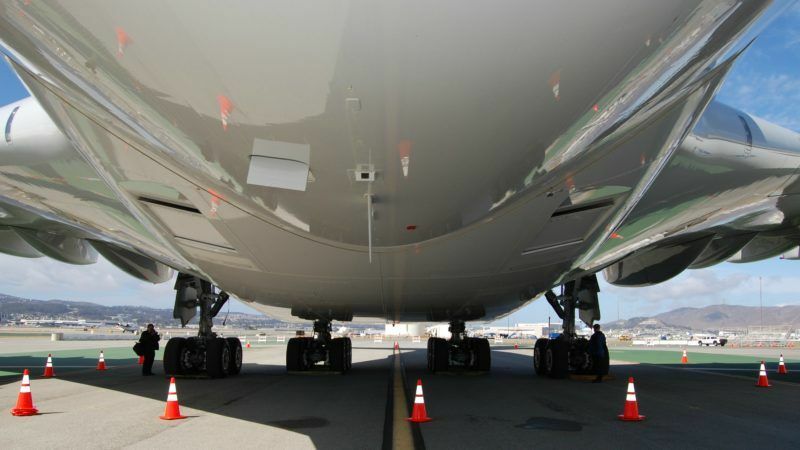 ICAO, the UN aviation body, develops safety and security standards for aircraft. But the EU’s aviation safety body EASA exercises flexibility to exceed international standards where deemed necessary – for example, by enforcing blacklists on unsafe carriers. However, when established in 2002, EASA was prevented from exceeding or “going beyond” ICAO environmental standards governing aircraft noise, NOx and other pollutants. A European Commission proposal to update and strengthen EASA’s safety and environmental remit is now before the European Parliament and Council. Critically it would enable EASA to exceed, when deemed necessary, ICAO provisions on aircraft noise, NOx, CO2 and particulate matter. The US has always exercised such flexibility. Just last month, the Trump administration introduced aircraft noise legislation exceeding provisions agreed at ICAO. But EASA had no option but to copy and paste the weaker ICAO provision. Regrettably France and some other EU states, evidently at the behest of Airbus, have moved to prevent EASA from being able to exercise such sensible flexibility for aircraft standards. Regrettably the new Macron administration seems to be continuing the long-standing French support for the Toulouse-based company’s obstructive efforts on regulating aviation environmental impacts. We saw this most notably in 2012 when Airbus intervened to see the scope of the aviation ETS cut by 75%. Council amendments seemingly initiated by France would restrict EASA’s environmental remit to the smallest of aircraft and helicopters – exempting virtually all commercial aviation, including, of course, Airbus jets. They would also perpetuate Europe’s inability to implement ICAO aircraft standards flexibly as all other states maintain their right to do so. This restriction severely weakens Europe’s influence and negotiating position at ICAO because other ICAO states can always suggest they will “go beyond” any compromise which is not satisfactory to them. Yet everyone in the room will be aware that European states have no alternative but to reach agreement around the table and copy and paste the result directly and unamended into EU law. Constraints on EASA’s flexibility would prevent Europe mandating the publication of full CO2 performance details of new aircraft. Such transparency is required by EU law for new cars and ships and is intended to unleash market forces and drive down emissions. A lack of flexibility would also prevent Europe from fixing some of the worst deficiencies of ICAO’s 2015 CO2 standard for new aircraft. Europe needs to retain the ability to adapt its final position on aircraft standards as needed, free from industry’s overweening influence at ICAO. The weak ICAO CO2 standard delays the phase out of dirty aircraft and postpones requirements to deploy greener aircraft, thus causing significant, long-term and avoidable additional emissions. Aircraft noise and NOx and particulate emissions around airports are particular problems in densely-populated Europe. Unfortunately ICAO aircraft standards more often reflect less ambitious environmental standards in other parts of the world. Flexibility to require additional reductions at source (from aircraft) will be critical to meet future European environmental requirements – especially given constraints on land use and operations at airports. EASA should have flexibility to impose restrictions on noisy and polluting aircraft irrespective of their ICAO certification. And that could be particularly important regarding a new generation of American supersonic jets under development which will emit three times the noise and CO2 of today’s aircraft. It is essential that EASA and Europe retain the power to have the final say on regulating such aircraft and the ability, with parliamentary oversight, to adjust future European regulations as needed to changing circumstances. EU member states have already made it very clear that supersonic operations will only be allowed in Europe if they are acceptable to the general public. How can governments live up to such a promise if they hand over the reins completely to the UN – as France would have? It is time for France and other supporting states to come on board and give Europe the needed flexibility in setting aircraft environmental standards. The proposal has the support of the European Parliament, which recognises the need to end special treatment for the aviation sector. Reform of EASA should not be held up because of efforts by manufacturers to weaken Europe’s ability to apply meaningful environmental regulations to new aircraft. Given that Airbus and Boeing aircraft generate over 90% of global aviation CO2, it is imperative to set robust design standards on emissions. European governments, not industry, should have the ultimate say.